My sister texted me last week, "How do I decorate for Christmas without a mantle??!". Hmmm. She and I went back and forth for awhile. And the more we talked, the more I realized what she meant. Blogs, Pinterest, and Home magazines all focus on Christmas mantle decor. But, not everyone has a mantle. And even those of us with mantles need to think outside the box. 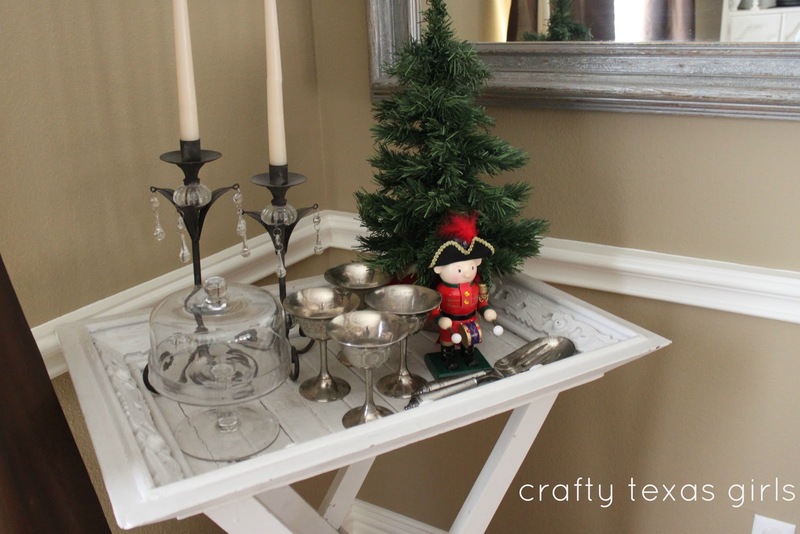 Creating a cozy holiday home means adding touches of Christmas in other rooms of the house. Think kitchens, bathrooms, and even bedrooms. Whether you happen to live in an apartment, a dorm, or a house without mantle, here are a few tips for making the most of your holiday decor--throughout your entire home. 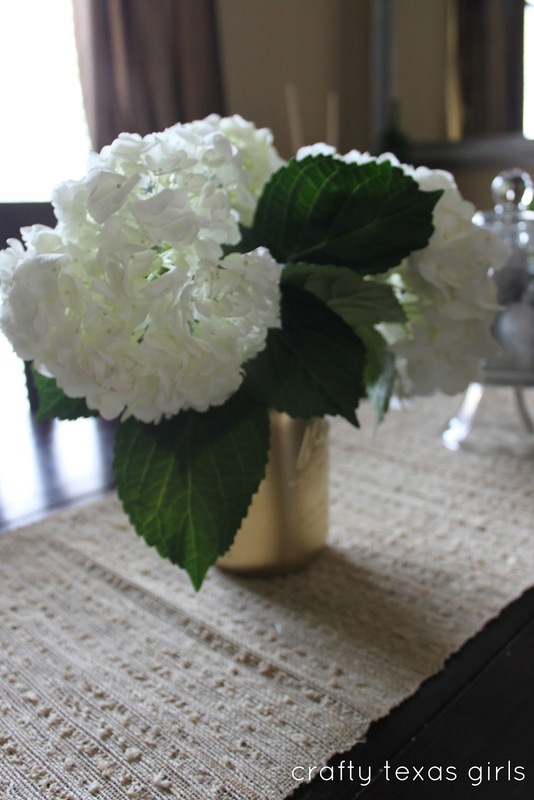 Whether you know it or not, you are probably the proud owner of a vignette- a cluster of decorative items on display. 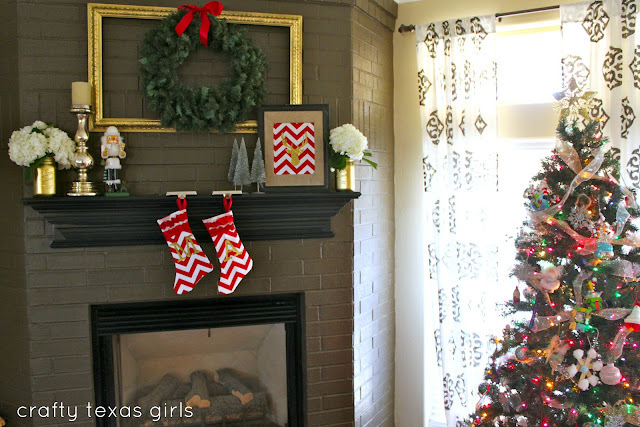 If you don't have a mantle, or even if you do, you can add your Christmas decor to places other than your mantle. 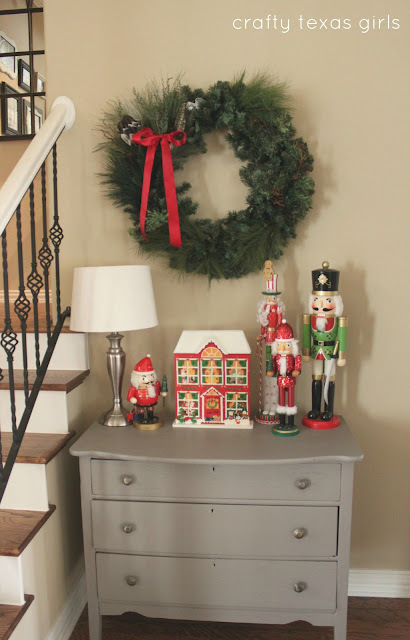 In our home, I like to display our advent calendar and a few nutcrackers on the hall dresser. 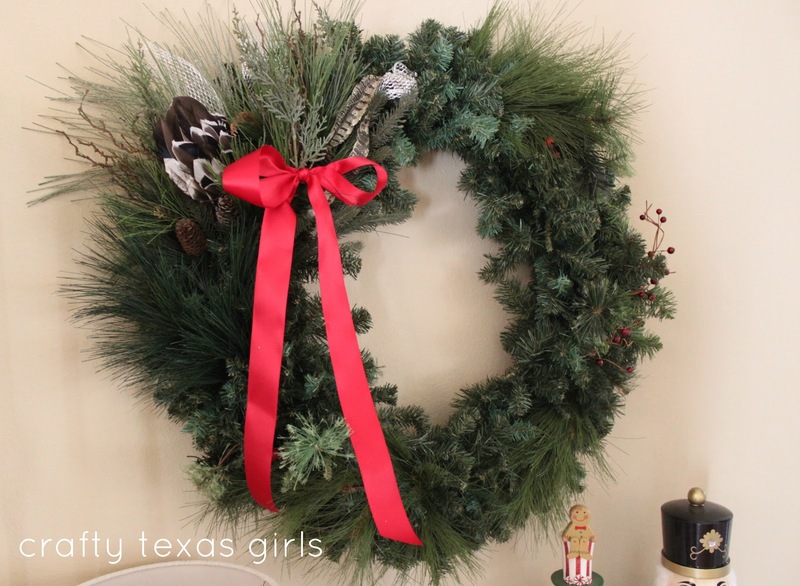 I took down my 'coffee filter' wreath for the time-being and replaced it with this lush evergreen wreath. Don't overlook, the kitchen for touches of Christmas. 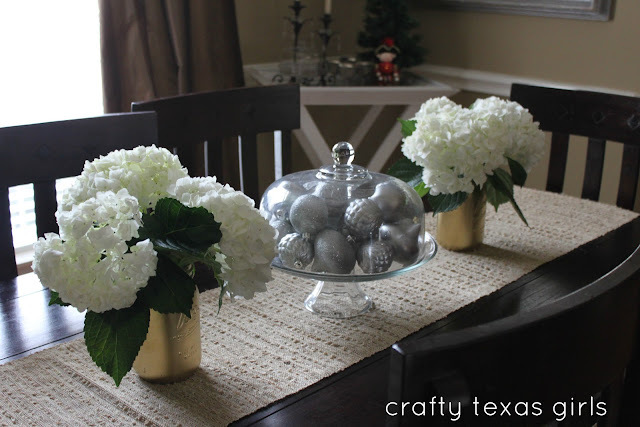 On our dining room table, I enclosed silver ornaments in a dome cake plate. More fresh hydrangeas from Flower Muse are clustered together in gold painted mason jars. 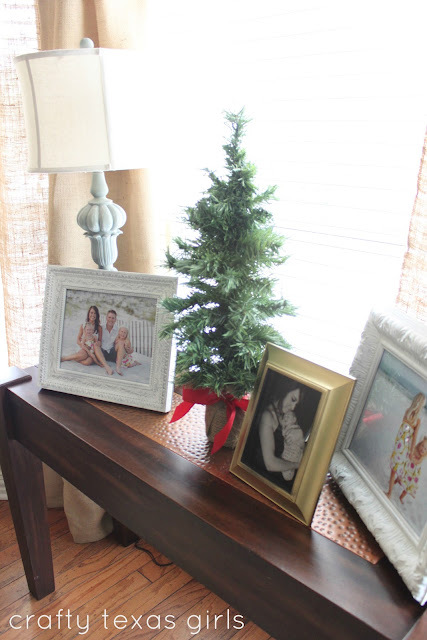 And other small touches of Christmas can be seen in other unexpected places- a mini Christmas tree with a burlap wrapped trunk and more of my nutcracker collection nestled on a tea table. 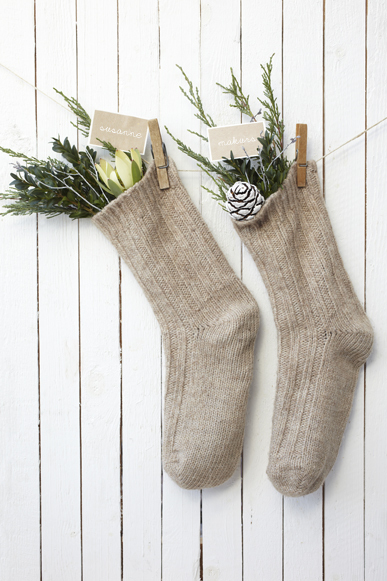 For those stockings, look around your home. Yes, the mantle is the traditional place to hang them. 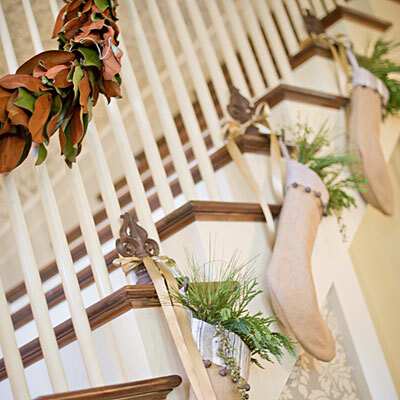 But, you could also add them to your banister, a cabinet, dresser, the end of a bed, or even on a line with clothespins. Having a mantle to decorate is just the beginning. Anywhere you can clear space, is a place where you can spread a little Christmas cheer. 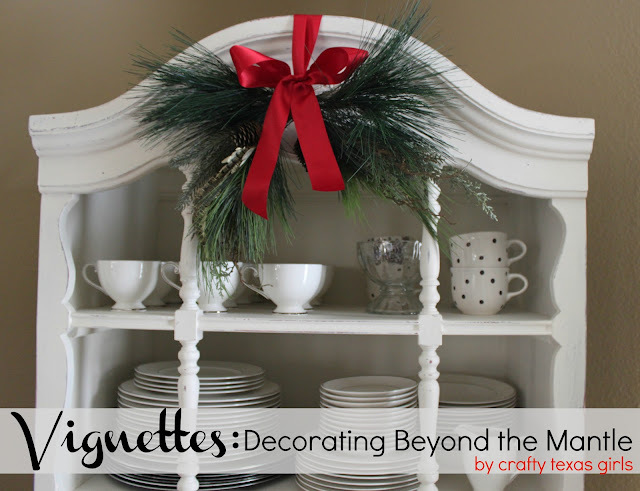 Where is your favorite space, beyond the mantle, for Christmas decor? Beautiful little dresser by the stairs. Thanks for sharing.